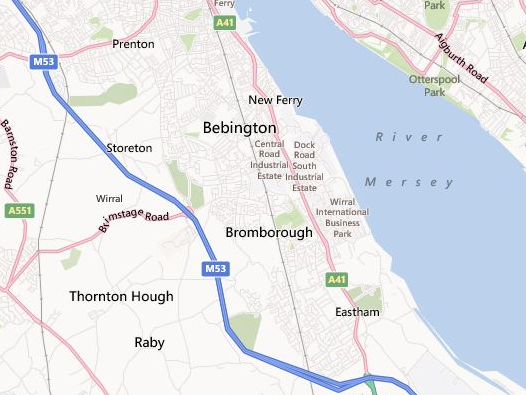 At A1 we provide a reliable and efficient service throughout Bebington and its vicinities. We are licensed by the Environment Agency, and have been providing customers with a professional service in all types of domestic clearances and removals for more than 20 years. Call the team today on 01244 340042 or 07840451745. Alternatively email us here. View the full quota of our services here, or read our customer testimonials here. We have worked hard to provide these services to an excellent standard for all our customers, so contact us for a brief chat about how we may be able to help you. We are extremely proud of our reputation as Chester and Wirral’s number one fully licensed house clearing company. An overview of the services we provide in the Bebington region can be found below.